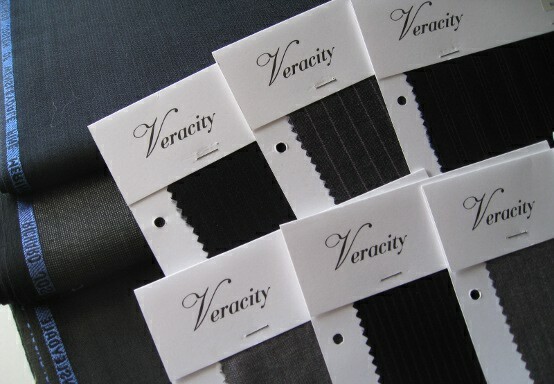 Veracity Tailor use fabrics from a range of domestic and international suppliers. From the pinnacle of English textiles from Holland & Sherry, to the finest French suiting fabrics from Dormeuil or from Veracity's carefully selected catalogue. Which ever you choose, you can be sure that the quality of your suit fabric is topnotch. Holland & Sherry is the finest cloths in the world. Hailing form Savile Row in Westminister, London, Holland & Sherry produces quality 100% worsted wool 400g suiting fabric. Dormeuil, established in 1842, has provided the world with the finest in French suiting fabrics ever since. 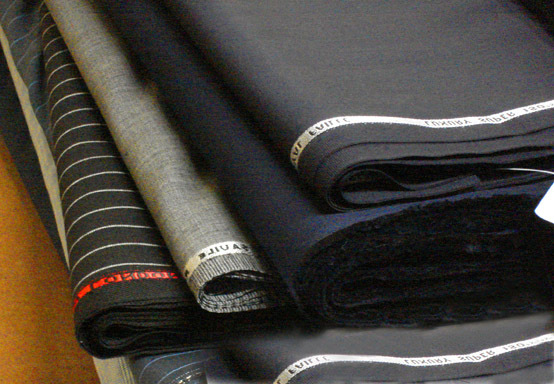 Dormeuil specialises in 100% worsted wool 300g suiting fabric. We have a large selection of quality fabrics that are renewed seasonly to ensure you are provided with the newest styles in suiting fabrics.